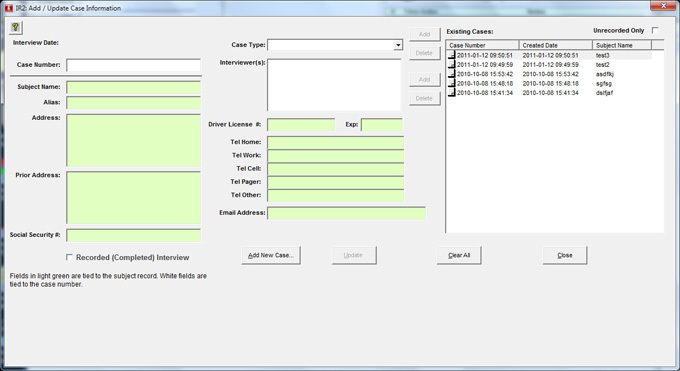 Designed with Law Enforcement personnel input. IR2 is designed to make the interview process easier to record, facilitate, annotate, and export. Utilizing patented technology and a wide array of design input, IR2 has an unparalleled feature set that is easy to use, and extremely powerful. 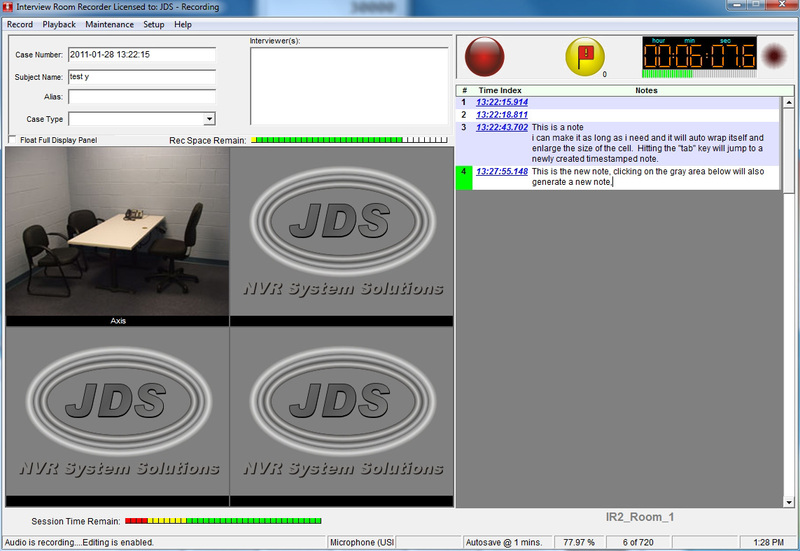 IR2 will support up to 4 cameras per room at any resolution or frame rate. Industry standard file types are used throughout the product. Case information, and notes can be entered at any time, the use of discrete audio insures the highest quality audio is being recorded. 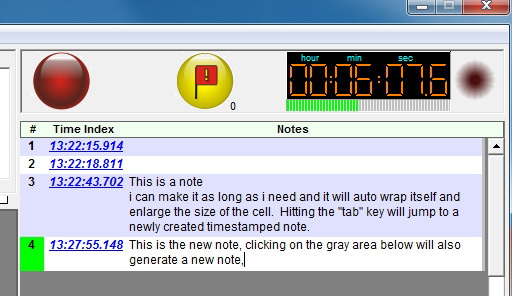 Interview Room Recorder is simple to use allowing the best user experience possible.